2.2.5 What Will it Catch? Thinking about buying a wasp trap? Here’s an interesting fact. The vast majority of people who are stung are stung by nuisance wasps outdoors around food or drink. In scientific testing WaspBane reduced risk by over 97.5% compared to other wasp traps*. That’s why major theme parks, zoos and attractions choose WaspBane. See for yourself how WaspBane compares with other traps and why WaspBane is the safe choice – compare other traps – compare WaspBane. That’s why WaspBane has become the trap of choice for professional pest controllers. 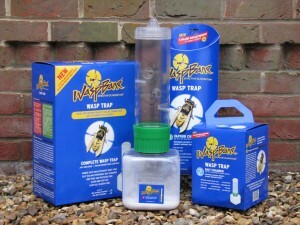 The WaspBane wasp trap is probably the safest wasp trap in the world which makes it ideal for domestic use. The WaspBane wasp trap is easy to use but doesn’t work like other traps. The measure of a good wasp trap is NOT how many wasps it kills but how well it removes wasps from the area you want to protect. For best results please follow the information provided. 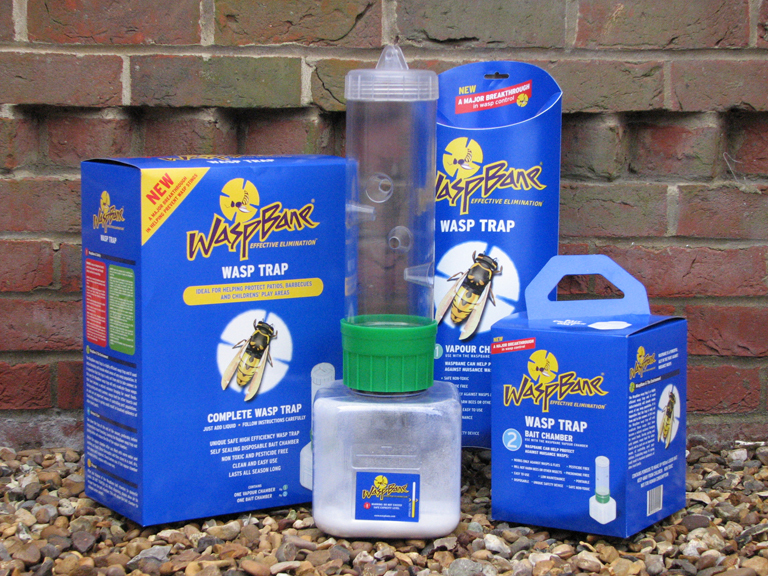 The ‘hints and tips’ section will help you get the most from your WaspBane wasp trap. The consumer presentation of the WaspBane wasp trap has all the information needed for average domestic use. Professional and commercial use of the WaspBane wasp trap requires a more detailed understanding of Integrated Wasp Management. Whilst the WaspBane wasp trap is virtually 100% efficient it still has to be used properly to be effective. In the professional setting, the WaspBane wasp trap has to be used as part of Integrated Wasp Management. So in addition to providing a unique high efficiency trap, WaspBane is also recognised as the home of Integrated Wasp Management. WaspBane is accredited to provide training to professional pest controllers participating in the BASIS PROMPT scheme for continued professional development. Registration on this or similar schemes is a requirement of servicing membership of the British Pest Control Association (BPCA). Used as part of Integrated Wasp Management, the WaspBane wasp trap regularly reduces sting rates by over 99%. Pest controllers wishing to learn about Integrated Wasp Management can do so for free by registering with WaspBane. WaspBane – Saving summer – Saving lives! * Results based on wasp persistence studies. ** When used in accordance with the instructions provided. Please note that clicking on each menu header will open the header page. WaspBane, Unit 1, Cardinal Park, Godmanchester, Cambridgeshire, PE29 2XN, England.